With a QuickScan network any number of sales staff can be performing searches of data or running reports from their workstations while other personnel (loggers or closed caption reconcilers) are busy entering news broadcast data. With QSafeTNet for manual story entry you never need worry about loosing valuable time if your network connections go down. 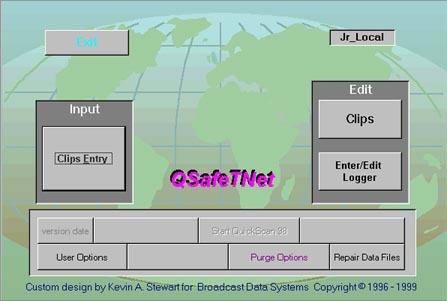 QSafeTNet alerts the user when the network connection is not available and stores the data locally on the workstation. When the connection has been re-established QSafeTNet allows for the safe transfer of data to the main data files on the server.